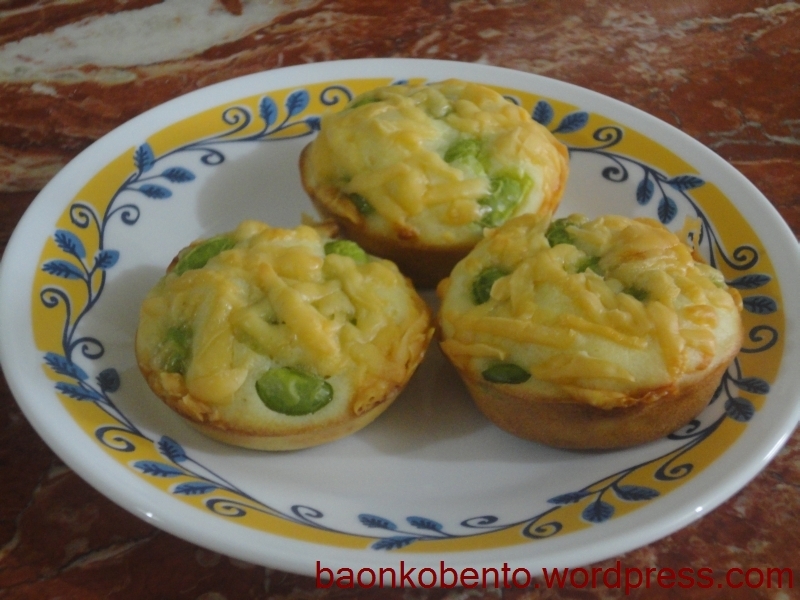 This week I tried out another of the recipes from The Just Bento Cookbook: Edamame and Cheese Savory Muffins! I finally found frozen edamame in a Japanese grocery aptly called Konbini, located along Annapolis Ave. in Greenhills. I thought that this is the perfect dish to try with edamame, and I had lots of edam cheese already grated in the fridge. 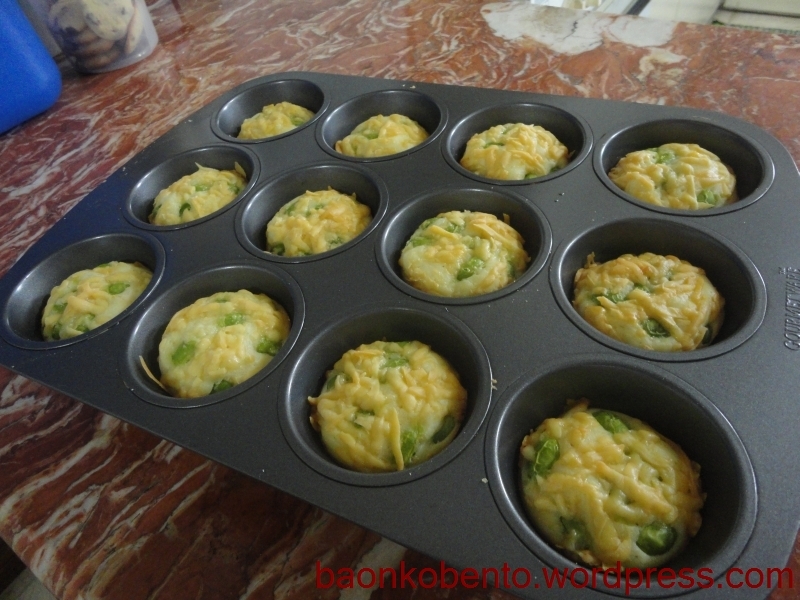 It basically just involves making regular muffins (although with much less sugar), mixing half the cheese in the batter, putting them in a muffin pan, sprinkling some edamame on the batter, sprinkling the rest of the cheese over the holes, and baking them in a 350F oven. Pretty awesome and toothsome looking muffins! How did it taste though? I think edam might have been the wrong cheese to use, because it ended up pretty salty. I know they should be savory, but edam is actually a pretty salty cheese. I think that next time, I’ll use processed cheese, or even babybel. Or, should I continue to use edam, I’ll put more sugar into the batter. 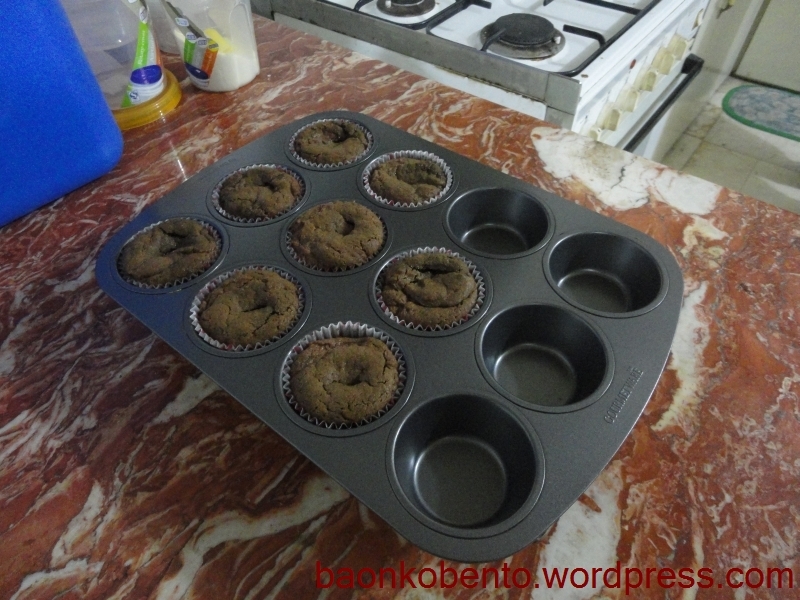 Here’s another view of the muffins, unpanned. This week I was planning to make some sort of banana cake, since I’ve been craving that for the longest time. 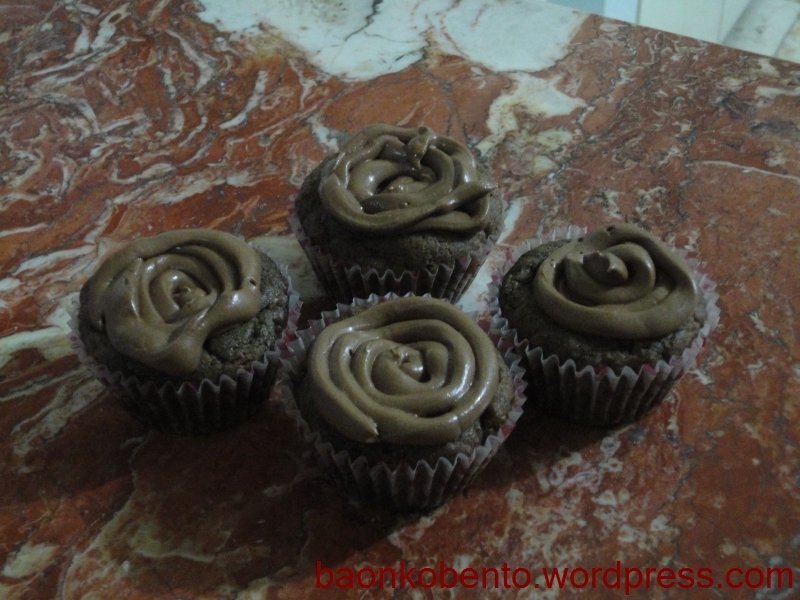 For some reason, I changed my mind mid-weekend and decided to try Self-frosting Nutella Cupcakes instead. 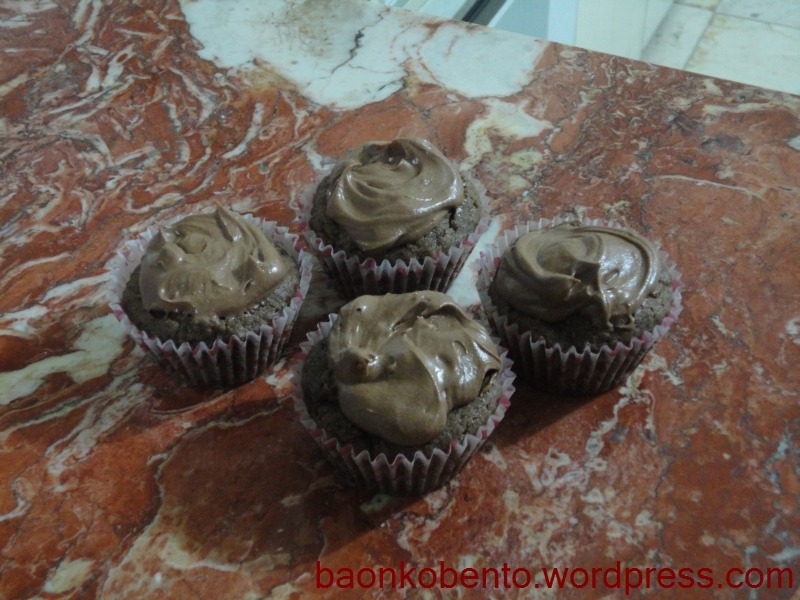 I love cupcakes, and I love Nutella. This is a win-win situation! 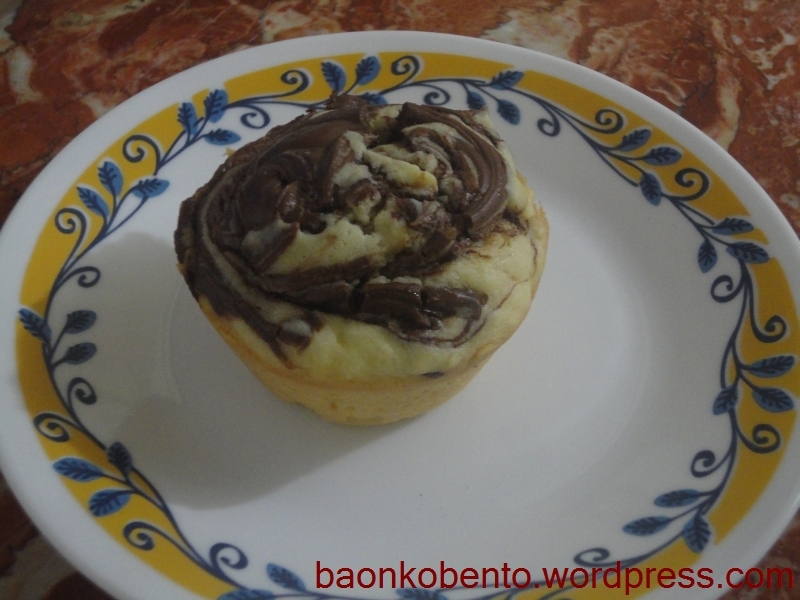 Here’s how it looked, fresh out of the oven. Here’s a close up of one cupcake. What I think: It’s a winner! It turned out just the way I wanted it, and I loved the way the “frosting” turned out. Every bite will get you a mouth-melting chocolate goodness. The cupcake itself could use a little lightening. 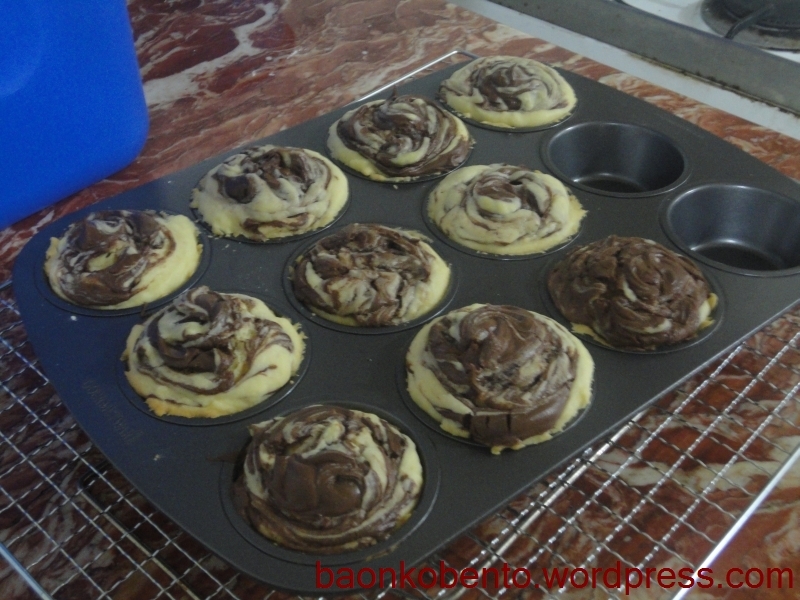 Next time, I’ll try to beat the batter a bit longer so I’ll have more air in it. Perhaps make it a bit smaller overall, so I’ll come out with 12 cupcakes, instead of just 10 (although that’ll mean I need to use more Nutella). 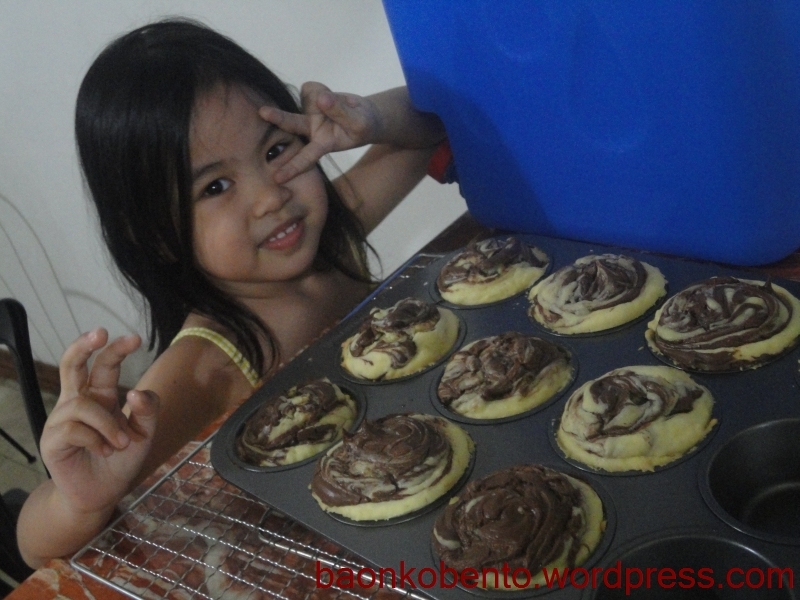 Tee wanted to have her own shot with the cupcakes, when she saw I was taking pictures of it.